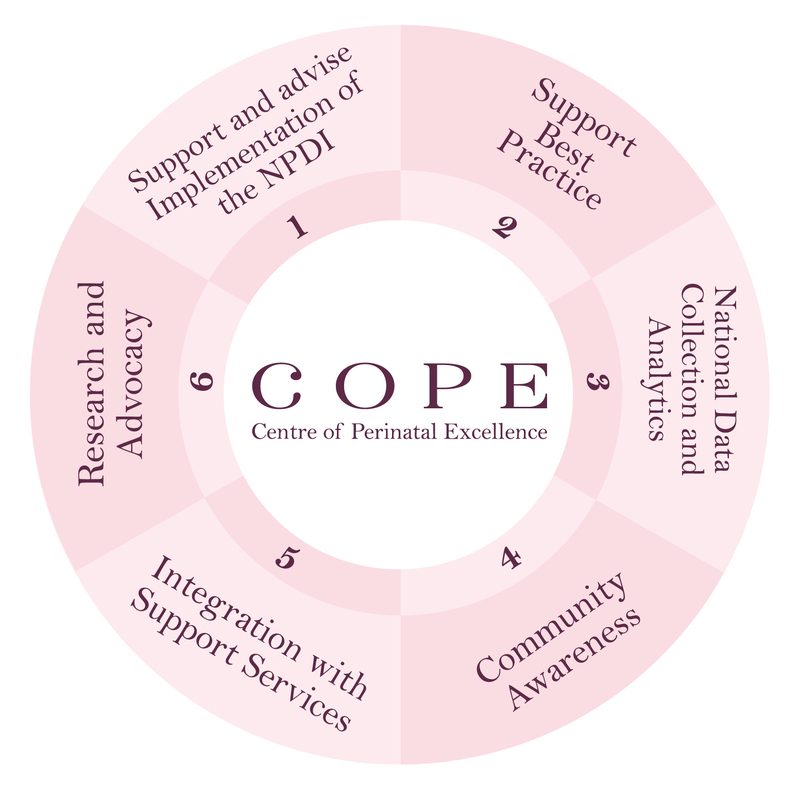 The Centre of Perinatal Excellence (COPE) is an independent, not-for-profit company, limited by guarantee. COPE is a registered charity with full deductible gift recipient (DGR) status. As detailed in our Constitution, our governance structure is made up of a Board and the Company Membership, which comprises the peak professional bodies representing primary and maternity care and consumer bodies in perinatal mental healthcare in Australia. Nominated representatives from each of these bodies work with us to inform and shape our work and identify collaborative opportunities to improve outcomes of women, men and their families.